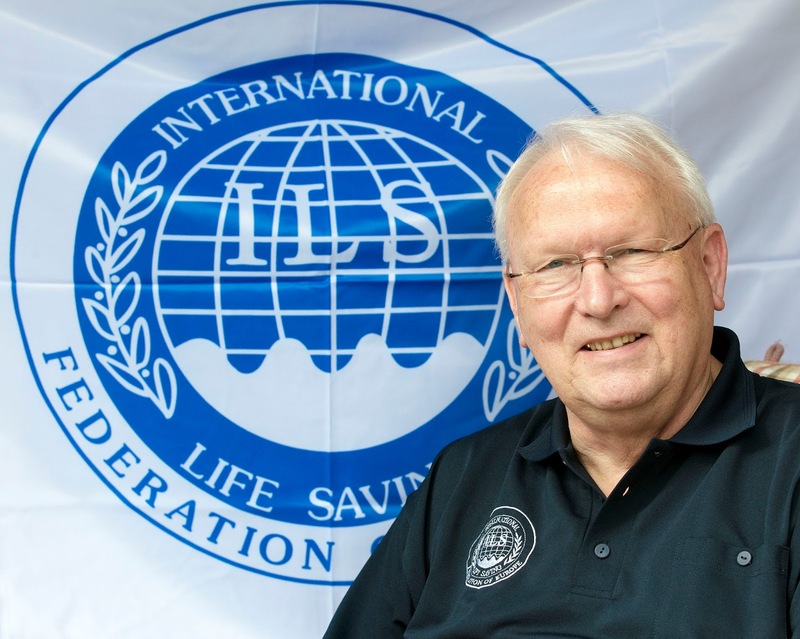 Dr. Klaus Wilkens is the recipient of the "G. Harold Martin Award 2017" by the International Swimming Hall of Fame. Fl. Lauderdale, Fl., USA August 25, 2017. The International Swimming Hall of Fame honored Dr. Klaus Wilkens (Germany) in a spectacular awarding ceremony, with the "G. Harold Martin Award" for his lifetime contributions to advance water safety for children. Dr. Stathis Avramidis was there to accept the award. 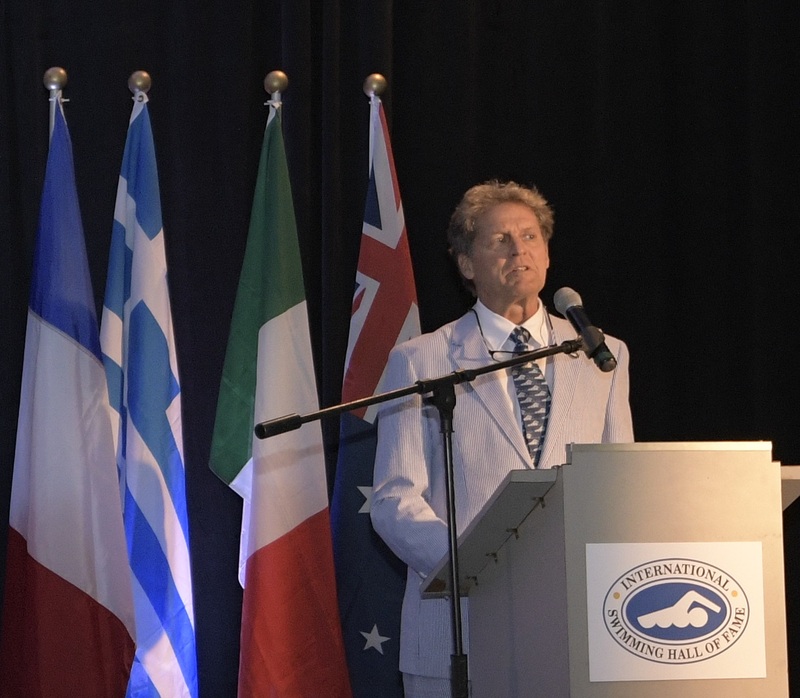 The weekend August, 26-27, was this year's epitome for celebrating and honoring those that have given so much to the world of aquatics as contributors, athletes, coaches, administrators and scholars. The first day was dedicated to the Paragon and ISHOF Awards and the second was the Honoree Induction to the 2017 class. Among the world's most prestigious personalities that were honored this year, was Dr. Klaus Wilkens (Germany), whose dedication has served the world for decades. As he was unable to attend the ceremony, he requested to the organizing committee to be represented by Dr. Stathis Avramidis, the person who made the nomination and was at ISHOF during the event. Wilkens for his contributions to water safety among children. During the ceremony, ISHOF's President/CEO, Bruce Wigo, addressed Dr. Wilkens saying: "The next award is named after G. Harold Martin. If you don't know his story, Judge Martin was here in Ft. Lauderdale. He was instrumental to get this Swimming Hall of Fame to Ft. Lauderdale. He also with Rotary International Institute helped to bring this international program "Every Child a Swimmer". That became one of the missions of the Hall of Fame. [...] We inspired kids like Michael Phelps and Mark Spitz, Greg Louganis and Sammy Lee and all those greats that we have here, to recognize not only their accomplishments but to inspire them to know how to swim. This year's recepient holds a PhD in banking and managment. He worked in the banking industry in Germany for years. This has nothing to do with why is recognized tonight like so many others. It is his activities as a volunteer in the lifesaving movement in Germany with programs of drowning prevention among children. He is also one of the leading proponents of lifesaving sport. [...] He has send a letter to his good friend and our great volunteer Stathis Avramidis from Greece who is a professor, is the legendary recepient of the Paragon Award of Aquatic Safety. He has written 15-16 books and he's come over here in his own time as a volunteer to help us with the Swimming Hall of Fame and recently concluded a symposium that knocked the shocks off on Near-Death Experiences of Drowning Victims. It is pretty amazing. If anybody goes back and remembers Kubler Ross and what others did for people who experienced near-drownings and had similar reactions and memories. Stathis brought some of the leading experts of the world and the country here at the symposium. So Stathi, please read the letter of the Doctor!" outsanding work that advanced water safety worldwide. Before I step down, I want to add something. Those that are alone understand better the term "family". Those who lost someone from drowning understand better the term "water safety". 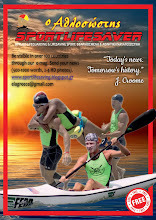 I am proud to receive this award on behalf of Dr. Wilkens and then present it at the opening ceremony of the 3rd Pan-Hellenic Lifesaving Sport Championship this October in Greece. Dr. Wilkens, dear brother, welcome to the family of the International Swimming HOME of Fame!" Presentation of the "J. Harold Martin Award 2017" to Dr. Klaus Wilkens. L-R: Dr. Stathis Avramidis (on behalf of Dr. Wilkens), Jim Martin and Bruce Wigo (ISHOF President/CEO). of "every child a swimmer". The presentation of the award was made by Jim Martin, the son of Judge Harold Martin. 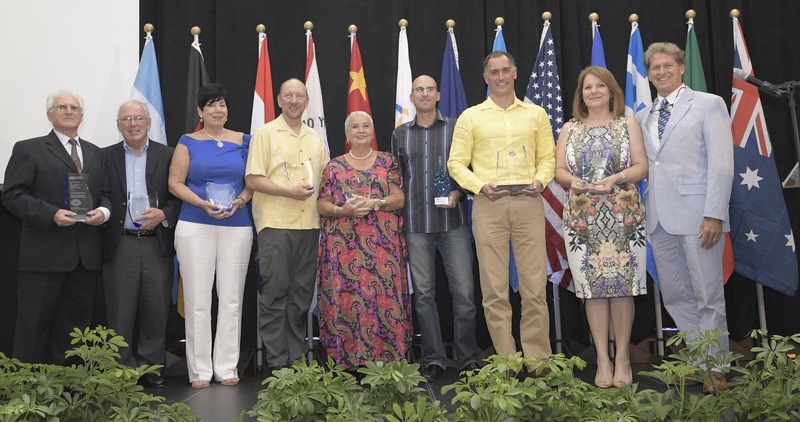 The inscription of the award is: "International Swimming Hall of Fame. G. Harold Martin Award. For that special person who sets a standard for mankind with his commitment to aquatics, who has lived his life with a passion to bring forth in the world a dream or vision, a way of being for mankind that is independent of any personal goals." Each year's award recepients appear here, shortly after the ceremony. 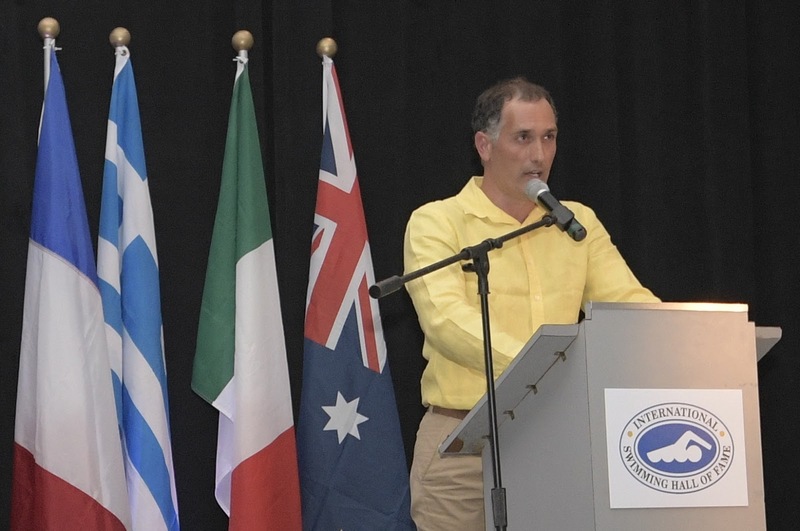 In October 14, 2017, Dr. Wilkens will be presented his award by Dr. Stathis Avramidis during the opening ceremony of the 3rd National Pan-HellenicLifesaving Sport Championship that will be organized by the Hellenic Federation of Underwater Activity in Greece. Jim Martin highly commented Dr. Wilkens' work in an interview that will be available shortly here. Chuck Kroll, Aquatic Historian and memorabilia collector who attended the ceremony, said: "I first met Klaus 31 years ago at Rescue '86. 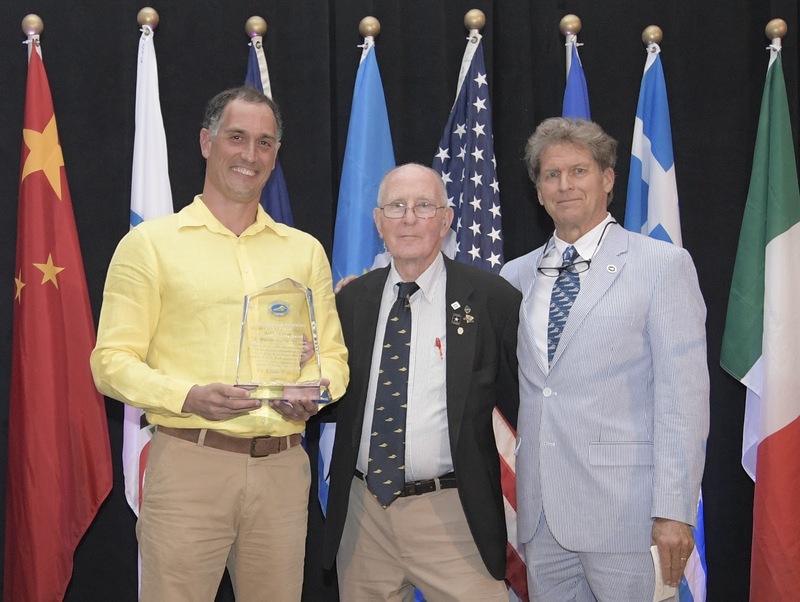 His work with the DLRG and the greater aquatic's world deserved to be recognized by the Hall of Fame like a few other people in the world that I know." Award recepient of the Paragon and ISHOF Awards 2017 with ISHOF's President/CEO, Bruce Wigo. (International Swimming Hall of Fame, Ft. Lauderdale, Fl., USA, August 25, 2017). Dr. Wilkens' physical awarding ceremony took in Greece, during the 3rd Pan-Hellenic Lifesaving Sport Championship that was organized by the Hellenic Federation of Underwater Activity-Fishing in October 14/10/2017. To read the article and watch the video, click HERE.